Chant of the Ever Circling Skeletal Family. 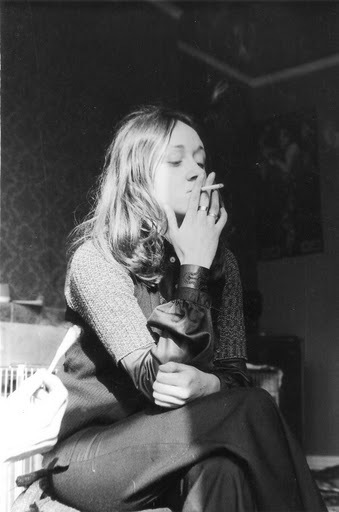 Chant of the Ever Circling Skeletal Family (live, 1974). Chant of the Ever Circling Skeletal Family (live, 1987). Brutish and short, “Chant of the Ever Circling Skeletal Family” was the only way Bowie could have ended something like Diamond Dogs. Segueing from “Big Brother,” the track could be Winston Smith’s complete, joyous submission to power, or it could just as well be the return of the Diamond Dogs, dancing around a bonfire on some skyscraper roof in Hunger City. “Chant,” almost purely a rhythm track, is something of a rhythmic puzzle. Nicholas Pegg wrote that “Chant” is in alternating measures of 6/4 and 5/4, which doesn’t seem right. Rather “Chant” seems to begin with alternating bars of 2/4 and 3/4 and then, in the six “choruses” (1 chorus = 1 set of “brother,” “ooh ooh,” “shake it up” x2, “move it up” x2), it moves completely to 5/4 [edit: no, it doesn’t.]. Further accents–three beats on a tambourine every three measures, a cowbell coming in on the second chorus (hit either two or three times), what sounds like a guiro on the third—seem intended to muddle the sense of time. The track, and the LP, end in a pseudo-lock groove, the first syllable of Bowie singing “brother” repeated in a stabbing loop of sound. The idea of a repeating lock groove on a record was an avant-garde experiment, its main innovator Pierre Schaeffer, a co-founder of the Groupe de Recherche de Musique Concrète. By the mid-’60s lock grooves had begun to appear on pop/rock LPs like the Beatles’ Sgt. Pepper and The Who Sell Out (the latter’s lock groove was an endlessly-repeating advertisement for Track Records). There the lock groove was often intended as a joke, meant to startle stoned people who were unwilling or unable to get up and change the record (Paul McCartney said the Beatles were inspired after many parties where everyone sat listening to the ticking of a record’s end groove for 20 minutes). Recorded ca. 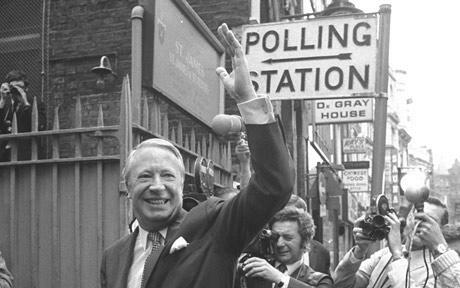 January-February 1974. Performed during the Diamond Dogs tour of summer ’74 as well as the 1987 tour, in both cases as part of “Big Brother.” Essential cover: The Wedding Present, 1992. Top: Try convincing your parents to let you go to this concert. 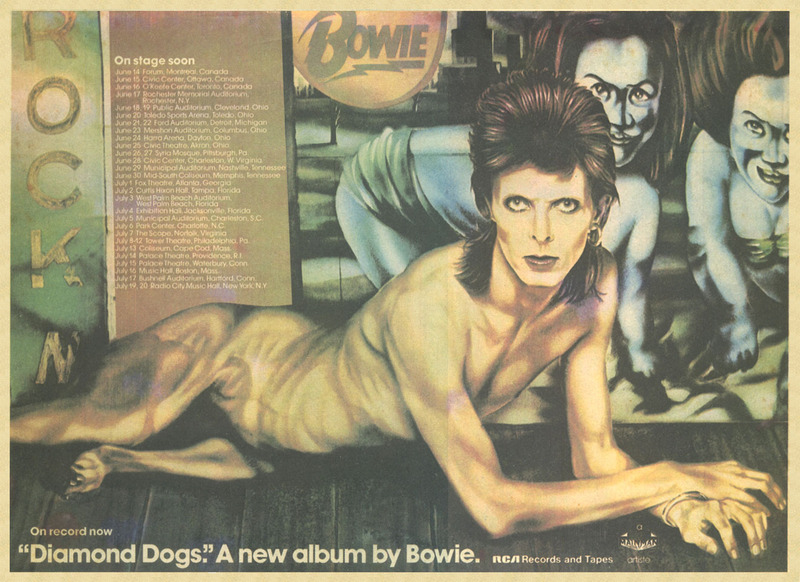 Having only one line and a title in common with the “Candidate” that eventually appeared on Diamond Dogs, the earlier “Candidate” was a studio demo Bowie recorded on New Year’s Day 1974. 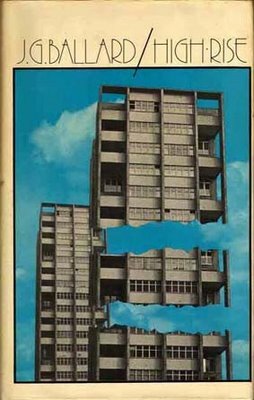 It apparently was part of Bowie’s stillborn Nineteen Eighty-Four adaptation, though little of its lyric would suggest that (there’s a reference to “the correction room”—that’s about it). It’s in F-sharp minor (was the entire Orwell musical going to be in a minor key? 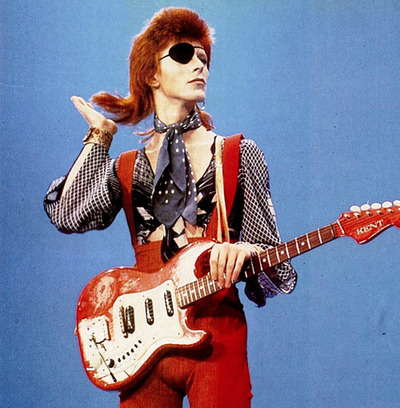 ), and is centered around Mike Garson’s piano runs and smears of Bowie’s guitar. Recorded 1 January 1974; not released until the Ryko reissue of Diamond Dogs (& later included on the 30th anniversary reissue). 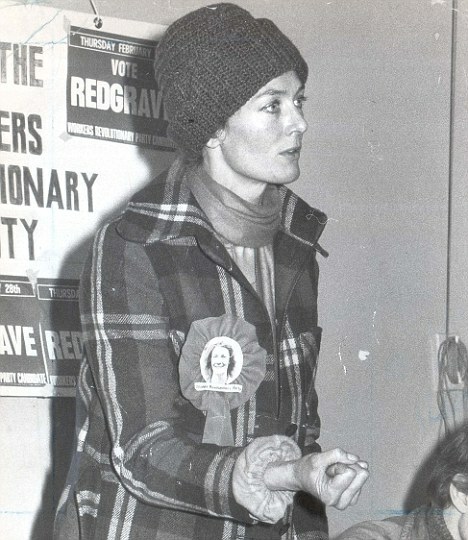 Top: Vanessa Redgrave, campaigning as a MP candidate for the Workers Revolutionary Party, February 1974. It works ’cause we said it worked. The one-minute “Future Legend” is almost the entirety of the Diamond Dogs LP “concept.” Not for Bowie the libretto and motifs of Pete Townshend’s Quadrophenia, or the painstaking dreamscape theater of The Lamb Lies Down On Broadway. As a narrative, Diamond Dogs barely exists. 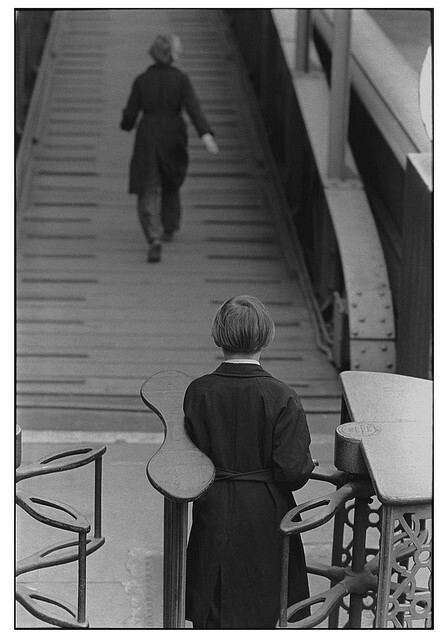 Its story is told only in abstracts: the back cover and inner sleeve of the LP, and the record’s first two songs. Bowie neither had the time for nor the interest in making his songs a narrative, even a loose one. As he told William Burroughs, he got distracted easily, and while he seemed to like the idea of making odd concept records, he managed to avoid the grim business of actually having to write one. 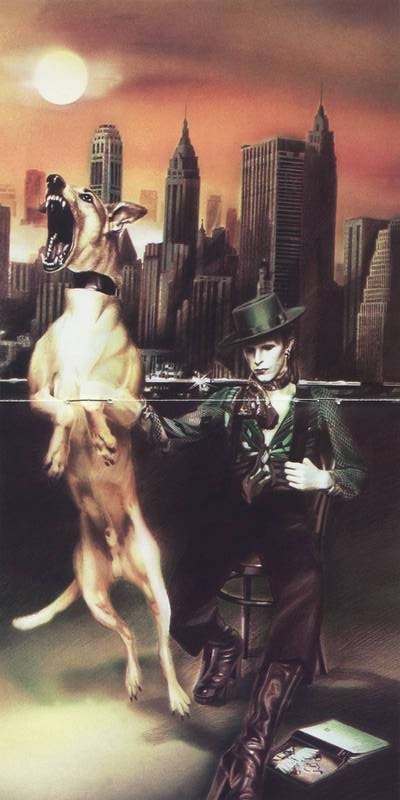 And time was pressing: Bowie was going on tour again in the spring of ’74, needed a new record, and didn’t have the material for an LP on the Diamond Dogs idea alone (hence the scrapped 1984 songs were used to fill a side). Bowie could argue he had a fine precedent: the king of all concept records, Sgt. Pepper’s Lonely Hearts Club Band. As John Lennon later said, Sgt. 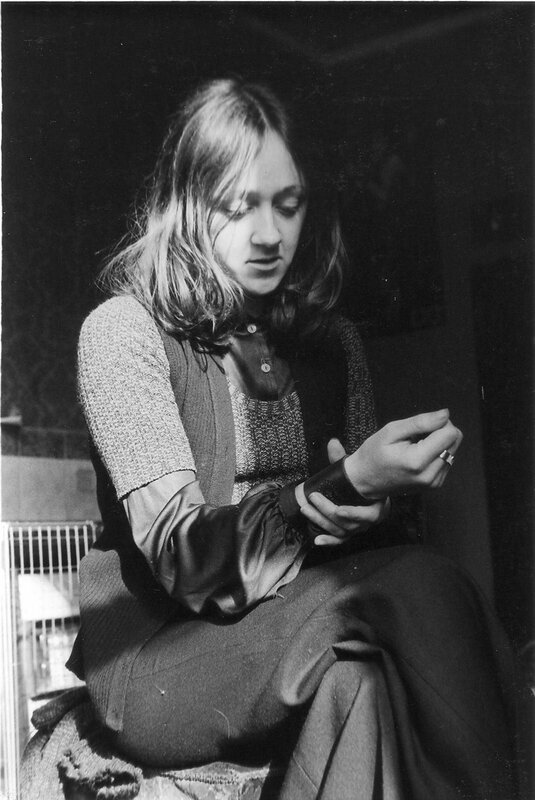 Pepper’s‘ “story arc” consists of the LP cover, the title song, maybe “With a Little Help From My Friends,” and then the “so-called reprise,” as Lennon described it, late on the second side. The rest of it was a set of random Beatles compositions: if they fit together, it was only because the listener wanted them to. So “Future Legend” is stage setting for an absent play, with the SF juvenilia of the lyric (“fleas the size of rats sucked on rats the size of cats,” etc.) set against a rolling scrim of ominous music—air raid sirens; dog howls; synthesizer washes; “Bewitched, Bothered and Bewildered” on electric guitar; what sounds like an impersonation of Scott Walker singing “Any Day Now”; lost children wailing in the streets. 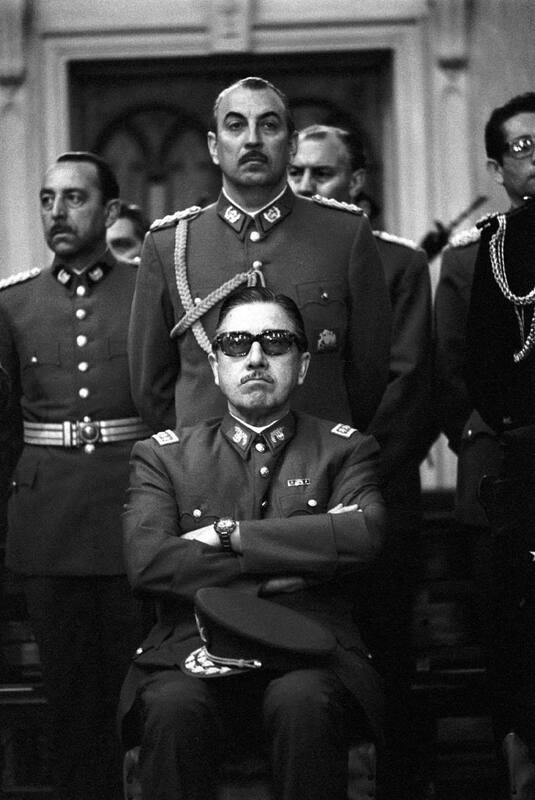 The obvious influence is the aural montage opening minutes of Lou Reed’s Berlin. “Future Legend” ends with canned applause and genocide. Rock ‘n’ Roll With Me. Rock ‘n’ Roll With Me (live, 1974). “Rock ‘n’ Roll With Me” is an island of melody and reassurance on an otherwise diseased-sounding record. It seems to be playing the role reserved for cover songs on Bowie’s earlier albums (see “Fill Your Heart,” “It Ain’t Easy,” “Let’s Spend The Night Together”): a spot of familiarity in a strange landscape. “Rock ‘n’ Roll With Me” even sounds like a cover. Bowie chose it to lead off Diamond Dogs‘ second side, thus making whatever LP concept remained even more incomprehensible*; its relative prominence was likely a commercial move, as the song seems like a possible single (& a live version of it would be). 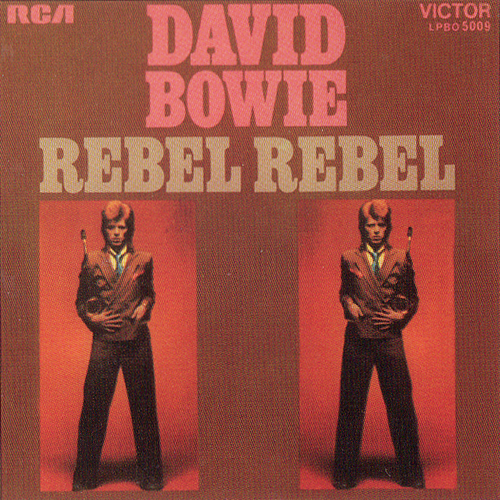 By Bowie’s standards of the time, “Rock ‘n’ Roll With Me” is a fairly basic composition and performance, from its “Lean On Me” inspired piano intro, to Bowie’s familiar vocal strategy (low and rich in the first verse, high and dramatic in the second, and in the chorus repeats), to the chord sequence of the chorus (C/E minor/F/C), which is the same as a host of pop standards, like “Kiss the Boys Goodbye” (it’s also a simplified version of “Over the Rainbow”‘s chorus). Still, it’s not as warm a song as it first seems—Bowie’s lyric is ultimately ambivalent about his audience, despite his flattery (“they sold us for the likes of you”), and some surviving cut-up-inspired lines like “lizards lay crying in the heat” further confuse things, while Bowie’s brutal lead guitar playing eats away at the melody’s sweetness. * A far more coherent Side 2 of Diamond Dogs would have been: 1984/Dodo/We Are the Dead/Big Brother/Chant. 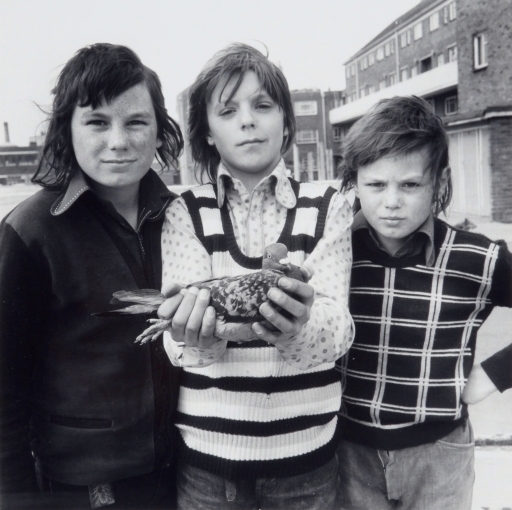 Recorded 15 January 1974. The David Live version, recorded in July ’74, was released as a North American single (PB 10105) in September; it was a rush-job meant to compete with Donovan’s cover, though neither single charted. 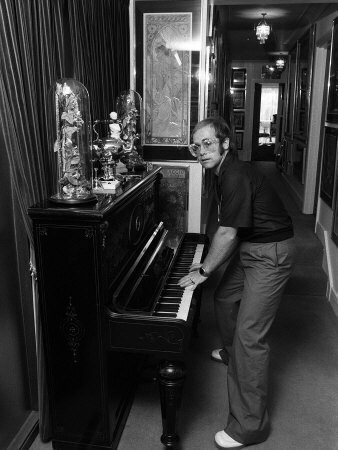 Top: Elton John breaks in the piano in his new Surrey mansion, June 1974.